The facelift, or mini-facelift as we refer to it, is among the top three most desired facial plastic surgery procedures performed in the U.S. today. With the facelift’s popularity comes a great deal of information—and misinformation. As you consider having a facelift, it’s important that you know the facts. Smith Cosmetic Surgery would like to help you understand the truth before, during and after a facelift—from choosing a certified surgeon to the reality of recovery. Nothing could be further from the truth. However, media likes to portray the most extreme facial makeovers on the cover of magazines, so the American public is under the impression that facelifts and other cosmetic procedures are exclusive to the upper echelons of society. At Smith Cosmetic Surgery, we find that the opposite is true in Denver and beyond. Last year alone over 128,000 people around the country chose to have a facelift to enhance their natural features, achieve a more youthful look and improve their confidence. Additionally, there are more options than ever for financing a facelift, so the monetary commitment to staying young and healthy looking is no longer a driving factor for deciding against facial plastic surgery. Not only is it possible for plastic surgeons to have different schooling and certifications, these cosmetic doctors can also have different specialties and interests. Nowhere is this discrepancy more important than when dealing with procedures on the face, a highly exposed body feature that can’t be hidden by clothing or other means. It’s critical that individuals considering a facelift look for and interview a medical professional who specializes in facial plastic surgery. 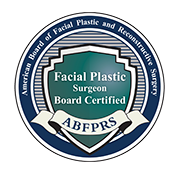 Dr. Brent J. Smith is certified by both the American board of Facial Plastic and Reconstructive Surgery and the American board of Otolaryngology/Head & Neck Surgery. Likewise, because Dr. Smith has specialized in facial plastic surgery exclusively for over 25 years, he has plenty of before-and-after examples of proven, natural-looking results. Additionally, everyone’s skin is different and ages uniquely, which means there’s no ideal age for a mini facelift. Smith Cosmetic Surgery works with patients of all ages to find an ideal procedure to adequately address acne scars, sagging skin, wrinkles, hyperpigmentation and other common facial issues. Again, Hollywood has done the plastic surgery community no favors in this area and, unfortunately, the wildly taut, pulled and artificial-looking faces often make the tabloids. At Smith Cosmetic Surgery, we would never allow a patient to leave our office with an unnatural outcome. Dr. Smith has built a career and a loyal following around his youthful and balanced-looking results. That’s because his skillful surgical technique accounts for all dermal layers of the complex facial region and can be specifically customized for each individual’s skin type and problem areas. Healing time is one area where technology and fine-tuned cosmetic surgery practices have changed what’s possible following a facelift. Anywhere there has been even a tiny incision there is some recovery required before you can feel comfortable in your new look. However, this means a couple of week’s tops—rather than months—of downtime. 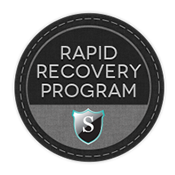 To make recuperation even faster for our cosmetic surgery clients, Dr. Smith has developed the proprietary Rapid Recovery program ™. This multi-day healing program starts the day after surgery and combines the powerful restorative properties of hyperbaric oxygen, lasers, and LED light to quickly reduce redness and swelling. Plus, when you consider the long-lasting effects of a facelift a few weeks of rest and recovery doesn’t sound too bad. Although traditionally women have turned to plastic surgery, men are increasingly interested in the exceptional benefits cosmetic procedures have to offer. Every year plastic surgery becomes more accepted among the male contingent, and that includes facelifts. It ranks among the top five plastic surgery procedures in America, and men can profit from this life-changing procedure as much as women. In fact men’s skin typically retains elasticity longer, with firmer fat and more vascularity, which may be a boon for the effects achieved during a facelift. Men are also considering complementary procedures such as eyelid surgery, chin augmentation and cheek and neck contouring to create and maintain a more masculine appearance, not to mention a distinct look to keep a competitive edge in business—and life. While these are common facelift myths, the truth is we will all experience loose skin around the face and neck—a double chin, sagging jowls, crow’s feet or forehead lines. When that time comes—or before it arrives—please give Smith Cosmetic Surgery a call to schedule your complimentary consultation.